Sisk’s district encompassed one of the most fertile stretches of farmland in the country, extending northward from the outskirts of Fresno to include Merced, Turlock, and at its far northern extreme, Modesto. More than 200 different crops were cultivated there, including cotton, grapes, walnuts, and peaches. The district’s population was mixed; about one-fifth were Mexican Americans, and an equal number had roots in the South. Like Sisk, many of the residents were from families that had journeyed to the region during the Dust Bowl years. A growing population of Hmong refugees from Laos was centered in Merced. Over time, as the Central Valley leaned Republican, Coelho’s district remained Democratic, though it was more conservative than coastal California on many social issues. 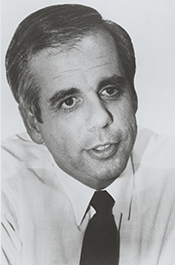 The most significant piece of legislation Coelho sponsored was the Americans with Disabilities Act of 1990, which he introduced in the House on May 9, 1989. “The Americans with Disabilities Act provides a clear, comprehensive national mandate for the elimination of discrimination against individuals with disabilities. This mandate is urgently needed by our Nation’s 43 million disabled citizens,” he stressed.25 His passion for this legislation stemmed from his experiences as an epileptic and from witnessing discriminatory behavior toward other epileptics. “My epilepsy is what makes me tick,” he said.26 “Discriminatory attitudes hold that you can’t employ someone with epilepsy because they may have a seizure on the job, when today the overwhelming majority of people with epilepsy have their physical conditions under control through medication.”27 The act passed the House in May 1990 and was signed into law on July 26 of that year. 1Bob Secter, “Tony Coelho’s Dramatic Rise Means a New Style in Democratic Leadership and New Clout for the California Delegation,” 11 January 1987, Los Angeles Times: 10. 2Linda Greenhouse, “Anthony L. Coelho,” 9 December 1986, New York Times: B17. 4Betty Cuniberti, “Epileptic Congressman Finds a New Ministry,” 21 November 1982, Los Angeles Times: G1; Ruth Shalit, “The Undertaker: Tony Coelho and the Death of the Democrats,” The New Republic ( 2 January 1995): 17. 6For more on Sisk’s career, see B. F. Sisk, A Congressional Record: The Memoir of Bernie Sisk (Fresno, CA: Panorama West, 1980); and Robert L. Peabody, Leadership in Congress: Stability, Succession, and Change (Boston: Little, Brown and Company, 1976): 190–204. 7Brooks Jackson, Honest Graft: Big Money and the American Political Process (New York: Alfred A. Knopf, 1988): 31–40; Peabody, Leadership in Congress: Stability, Succession, and Change: 190–204. 8Jackson, Honest Graft: Big Money and the American Political Process: 46–47. 9Politics in America, 1990 (Washington, D.C.: Congressional Quarterly, Inc., 1989): 141. 10David Hoffman, “Rep. Coelho: Democrats’ Fund-Raiser Extraordinaire,” 26 August 1982, Washington Post: A2; Ellen Hume, “Central Valley Farmers Face a New Game,” 1 June 1978, Los Angeles Times: SD3; Politics in America, 1982 (Washington, D.C.: Congressional Quarterly, Inc., 1981): 120. 11Ellen Hume, “11 New Congressmen in State: 3 Incumbents Lose, 25% of Delegation Replaced,” 9 November 1978, Los Angeles Times: B21. 12“Election Statistics, 1920 to Present,” http://history.house.gov/Institution/Election-Statistics/Election-Statistics/. 13For a full listing of Coelho’s committee assignments, see Garrison Nelson, Committees in the U.S. Congress, 1947–1992, vol. 2 (Washington, D.C.: CQ Press, 1994): 175–176. 14Congressional Directory, 97th Congress (Washington, D.C.: Government Printing Office, 1981): 295. 15Hoffman, “Rep. Coelho: Democrats’ Fund-Raiser Extraordinaire”; Almanac of American Politics, 1982 (Washington, D.C.: Barone & Company, 1981): 119. 16Politics in America, 1982: 119. 17Almanac of American Politics, 1990 (Washington, D.C.: National Journal Group, 1989): 118; Helen Dewar and Edward Walsh, “Arkansas Rep. Anthony Succeeds Coelho as Chief Democratic Fund-Raiser,” Washington Post, 30 January 1987: A4. 19Marjorie Hunter and Warren Weaver, Jr., “Washington Talk— Briefing: Señor Coelho,” 25 March 1985, New York Times: A12. 20Kenneth Weiss, No Title, 15 April 1985, States News Service. 22Politics in America, 1990: 139. 25Congressional Record, House, 100th Cong., 1st sess. (9 May 1989): 8714. 27Congressional Record, House, 100th Cong., 1st sess. (9 May 1989): 8712. 28Grossman, Political Corruption in America: 85; David LaGesse, “Politicians Flew on Planes of Texas Thrift That Collapsed,” 18 June 1987, The American Banker. 29Michael Oreskes, “Coelho to Resign His Seat in House in Face of Inquiry—The No. 3 Democrat: In Surprising Decision He Speaks of Sparing His Party Turmoil,” 27 May 1989, New York Times: 1. 30Congressional Record, House, 101st Cong., 1st sess. (15 June 1989): 11952. See also Robert Shepard, “Coelho Says Goodbye to the House,” 15 June 1989, United Press International; Steven Komarow, “Saying Goodbye to Congress with a Speech and a Bash,”15 June 1989, Associated Press. 31Grossman, Political Corruption in America: 85–86. Oral History: In the United States Capitol Historical Society Oral History Collection, 1976-1991, 13 items. Interviewees include Tony Coelho. A finding aid is available in the library. Papers: 1955-2008, 34.75 linear feet. This collection consists of materials spanning the different aspects of former Congressman Tony Coelho's career and personal life including his activism, congressional work, corporate career, political activity, and his years working abroad. It includes photographs, audiovisual materials, artifacts, correspondence, reports, and documents. A finding aid is available in the repository and online. "Tony Coelho" in Hispanic Americans in Congress, 1822-2012. Prepared under the direction of the Committee on House Administration by the Office of the Historian and the Office of the Clerk, U.S. House of Representatives . Washington: Government Printing Office, 2013.